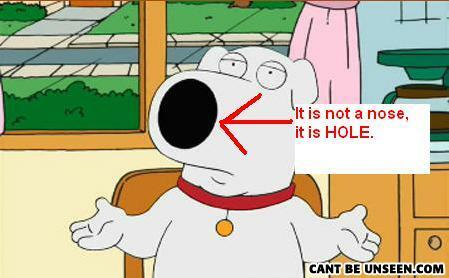 IT IS HOLE. I AM GRAMMAR GOOD. YOU RUINED FAMILY GUY FOR ME!